Dr. Christian Neumann is a recognized radiologist in Indio, California. He received his medical diploma from Johannes Gutenberg University of Mainz Faculty of Medicine in Mainz, Germany in 1974. After getting his medical degree, he did an internship at Johns Hopkins University/ Klinikum Johannes Gutenberg University, Mainz Germany, in 1975. 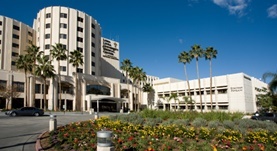 Dr. Neumann completed his medical education with a residency in radiology at Johns Hopkins Hospital, He is certified by the American Board in diagnostic radiology and currently works at Loma Linda University Medical Center.